Anglicans in our region first gathered to worship God on the present site of St. Paul’s in the spring of 1811. The site was chosen for its access to the river which, in those days, was the region’s primary mode of transportation, and people came from all over the area to gather and worship there. The members of the first Vestry were from as far away as Rothesay, Upham, French Village, and Lower Norton, which would have been considerable distances before the advent of the automobile. In spite of the distances, people came and worshipped. In 1819, the Rev. James Cookson, the first Rector of Hampton, reported that the average Sunday attendance was roughly 300 souls. In 1826, during an episcopal visit by Bishop John Inglis, the church building in which services had been conducted for over 15 years was finally consecrated and 123 candidates were confirmed. 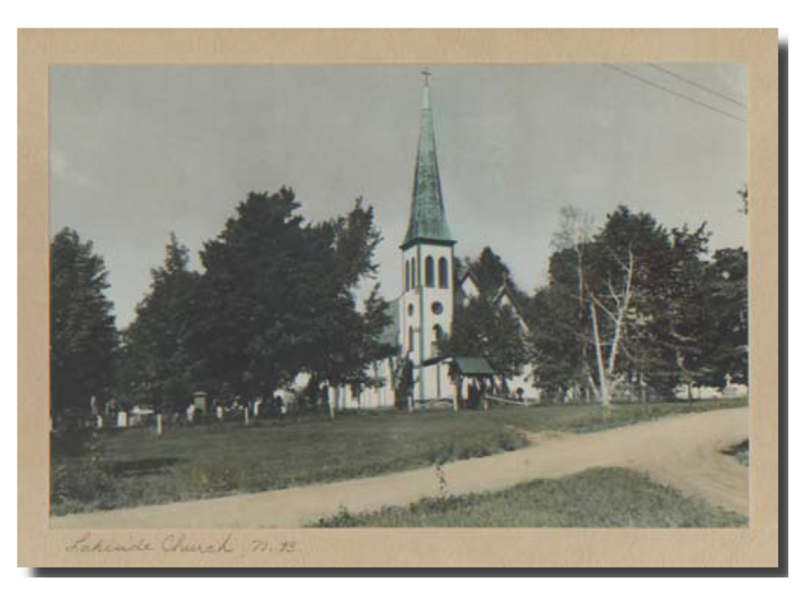 The demand for places of worship in the area was met with the completion of many new church buildings, including St. Luke’s, Gondola point in 1835; St. Peter’s, Upham in 1843; St. Andrew’s, French Village in 1846; and Trinity Church, Hammond River in 1854. 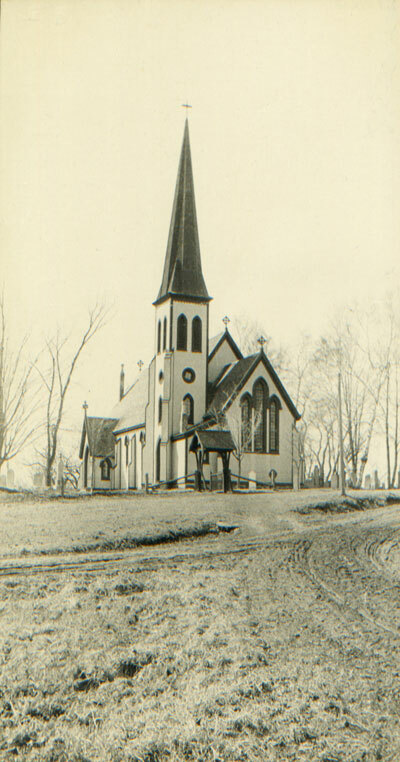 By 1867 it became evident that St. Paul’s, Hampton was in need of extensive repair, and it was decided that a new church building should be constructed on the same site. Later that same year, the Ladies Sewing Society approached the parish corporation with the sum of $1400.00 to contribute to the construction of a new building. Two years later, on October 18th, the then brand-new St. Paul’s Church was consecrated by Bishop John Medley at a celebration of the feast of St. Luke. More than 100 years later, in 1985, that very same building underwent extensive renovations to make it better able to serve the ministries and worship of the people of St. Paul’s. 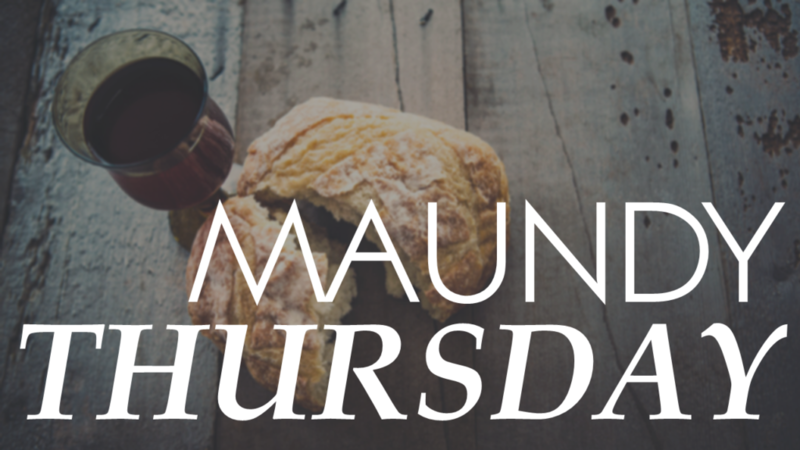 Although not as well documented as the history of our buildings, the real history of this church is the life of faith and mission that has fed and continues to feed our companionship and worship whenever and wherever we gather. The people of St. Paul’s have been worshiping God and serving their neighbours along the Kennebecasis river and beyond for more than two centuries, and in that time whole generations of people have come to know and experience and grow in the goodness and love of God through Jesus Christ. That’s the real history of St. Paul’s, the history of God’s faithfulness to his people in this place and their faithful response. That is the history and the future hope that we celebrate whenever and wherever we gather. It’s also the history and the future hope to which our building stands tribute, and for which we will continue to thank and praise God long after this and every other church building is long gone. 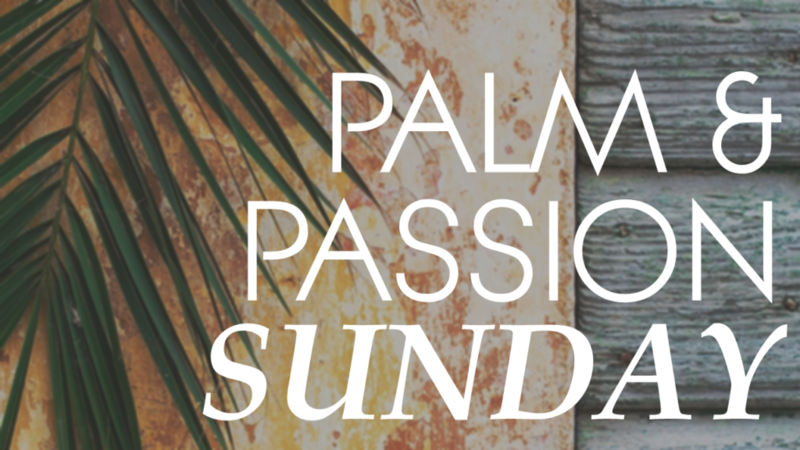 I can think of all kinds of things that I would get to avoid if I didn’t have to go to church every Sunday morning, but I also know there are a least 3 things that I would definitely miss. My wife and I would get to avoid sacrificing one more morning of the week to hustling a pack of kids out the door. I’d avoid having to myself up early and out the door on a morning that I could be using to enjoy any number of possible leisure activities, or getting stuff done around the house that I never seem to have to the time do. On my more introverted Sundays, skipping church would mean getting to avoid interactions with people, even some very wonderful people, with whom, sometimes, I just don’t feel like I have the energy to interact. And what if the music isn’t to my liking that morning, or the preacher is having bad day? Skipping church would mean getting to avoid all of that as well. And seeing as I’m usually the one preaching and helping with the music, I sometimes wonder if my skipping church might actually be doing people a favour. 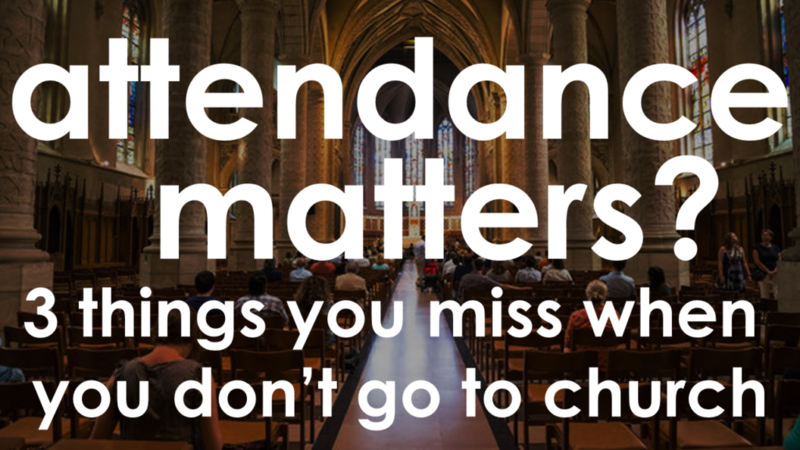 But for all the less than perfect things that we avoid by skipping church, or by choosing to get our church online instead of in person, there are some really important things that we miss out on when we don’t go to church. Obviously, as a church leader my perspective on this topic is fairly biased. But trust me when I say that I know how imperfect and sometimes downright unpleasant going to church can be. I also know, however, that while going to church isn’t everything, there are at least three things that it offers followers of Jesus that nothing else can. Let me also say that I recognize attending or not attending church isn’t always a choice. I know a number of people who would be in church a lot more if they could, but their life circumstances, and the limited range of service times that are available to them make regular attendance impossible. But for those of us who do have a choice, here are 3 things we miss when we choose not to attend. The range of preaching, prayer, worship, meditation and study resources that are now available to us at the swipe of a screen, no matter where we go, is incredible. The problem is that none of these apps or online resources has the ability to remove us from the countless distractions that keep us from offering our undivided attention to God. Most, in fact, are designed so that we can listen to a sermon, study the Bible, worship and/or pray all while doing any number of other things at the same time, like exercising, working, driving, or chores. These apps and other resources are incredible and can really help us grow, but none of them is a substitute for giving God our undivided attention, because it’s precisely in those times of extended focus, of waiting and listening for God that God actually speaks to his people. We see this again and again in the Bible and it’s true to this very day, and no app or online resource will ever replace the experience of having God speak to you directly. Of course, there can be lots of distractions at church too, but unlike anywhere else at any other time of the week the operating assumption at a church service is that we are there to focus on God which, in spite of all of the potential distractions or interruptions, makes it an invaluable time and place to practice giving our undivided attention to God. At no point in Christian history have we ever had the amount and quality of inspired and inspiring musical worship available to us as we do right now. There is far more and/or far better worship music available just on YouTube on any given Sunday than there is in any church in the whole world. But listening and even being moved and inspired by the very best praise music is not the same thing as raising our own voices with the voices of others to proclaim the goodness and love of God and to express the value of God in our lives. Listening to inspired worship music can be very uplifting and spiritually nourishing, but true worship isn’t just spiritual nourishment. True worship is also spiritual exercise. It’s an offering of our effort in service to God, which, as we practice, makes us spiritually stronger. The result of only ever consuming worship music and never exercising our own worship muscles is, in a spiritual sense, the very same thing as if all we ever did was eat physical food and never exercised our physical muscles. We become spiritually weak and even ill. Although it isn’t always as immediately pleasurable as listening to the very best worship music available to us, the practice of regularly lifting our own voices together, as well as we can, to praise God is absolutely essential to our spiritual growth, our spiritual strength and our relationship with God. Going to church isn’t always much fun, and it isn’t always as inspiring as we would like it to be. But every time we go to church we take a step towards joining our lives in Christ as followers of Jesus and members of God’s people, with the lives of others, and there is always power when we do that. And the more we join our lives with other followers of Jesus the more of that power we get to experience and be a part of. It’s true that just going to church isn’t the same thing as being truly engaged with the life and mission of Jesus. You can attend church and not really be engaged. But it’s pretty hard to be engaged without at least making it a priority to attend when we can. Engagement is another reason attendance really does matter. If you’re not quite ready to say “good-bye” to the Christmas season, then I’ve got some really good news for you. 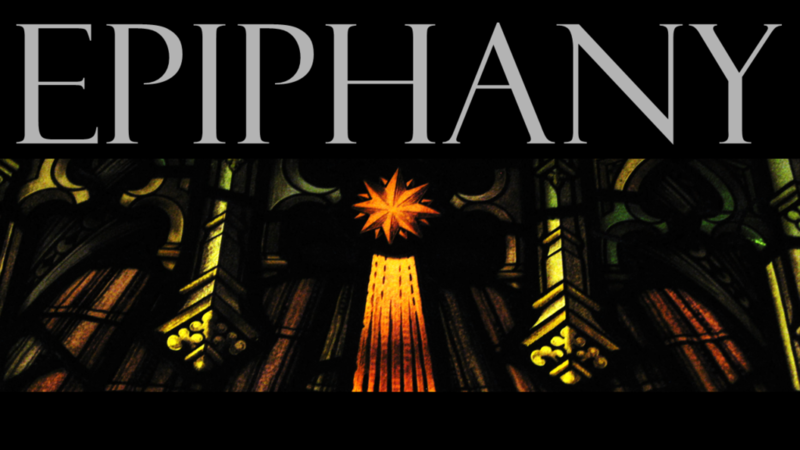 This Sunday, January 6th is Epiphany, which means Christmas isn’t over yet. Sometimes known as the “12th day of Christmas” or “Little Christmas” Epiphany is the ancient Christian celebration of the day a group of Magi (a.k.a. wise-men) from the east arrived in Bethlehem to worship the young Messiah Jesus. But of far greater importance than the excuse it gives us to squeeze in a few more Christmas carols and to leave our trees up a few more days is the reminder that Epiphany provides us that Jesus is God’s gift to everybody, regardless of their religious or spiritual background. The religious background of the Magi was just about as different as you could get from Jesus’ own very Jewish background. For example, the wise-men’s fondness for astrology is explicitly forbidden in the law of Moses and elsewhere in the Old Testament scriptures. And yet, in spite of all of the ways in which their religious views and practices diverged from the very scriptures that foretold the coming of the Messiah, the Magi chose to journey hundreds of miles across deserts and mountains in order to kneel before Jesus and worship him with precious gifts as the true king of God’s people. Perhaps even more remarkable is the way in which God alerted the Magi of Jesus’ birth and of its significance, and then guided them to his Son to worship him as Messiah. We are going to explore all of this in more detail on Sunday, but what it all points to is the fact that Jesus did not come into the world to be the Messiah of just one particular ethnic group, nor was he born to be the saviour of just one particular religious community. Jesus came as a gift to the whole world and to every single person in it, and whatever their religious or non-religious background might be God is actively drawing everyone to the amazing gift of his Son. 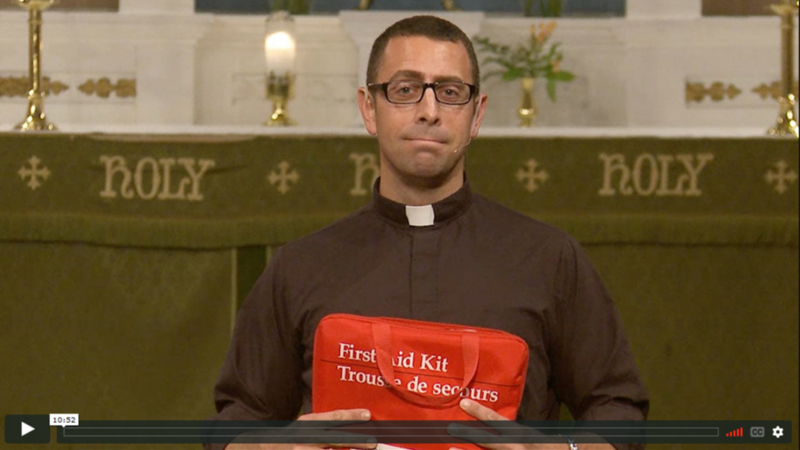 All of that and more is what we are going to celebrate this Sunday at St. Paul’s. 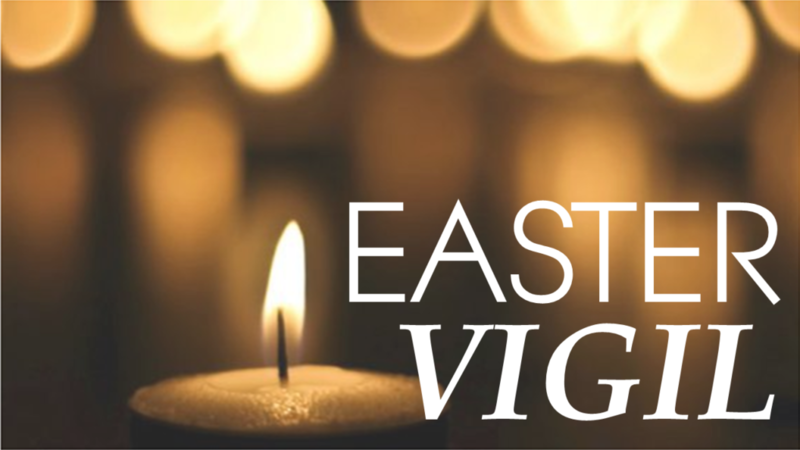 On a sadder note, this Sunday will also be St. Paul’s last regular Sunday morning with the Gowan family (Christian, Jessie, Gillian & Elliot). 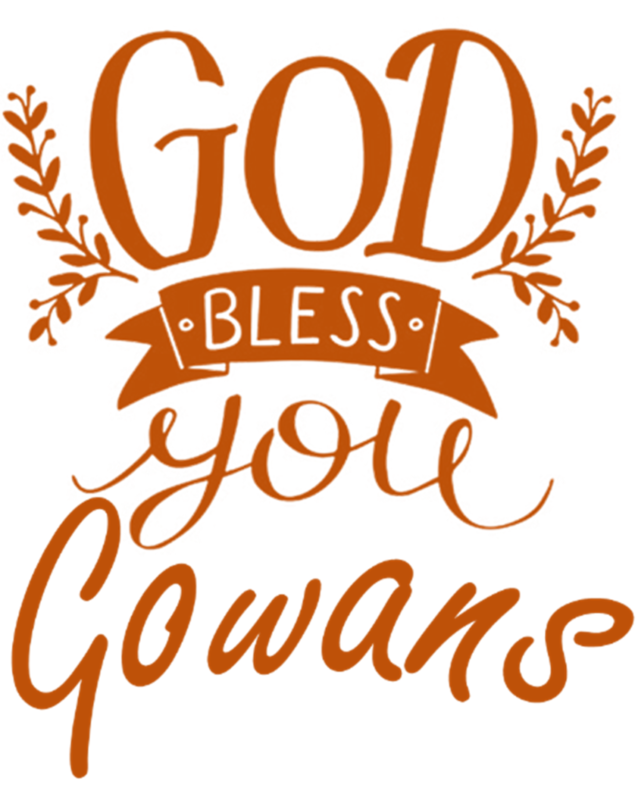 After more than six years of Christian Gowan leading our musical worship at the 10:30 service, and Jessie Gowan contributing to our parish’s ministry to children and youth, the Gowans are following a call to begin worshiping more regularly a little closer to home in Quispamsis. Worshiping closer to home will mean that their children can attend worship with their classmates and that Jessie and Christian will be able to invite their neighbours to experience Christian Community right there in their own neighbourhood. We hope you can join us this Sunday morning following the 10:30am service as we gather for cake and coffee in honour of the Gowans and as we let them know just how much we appreciate them and everything that their family has contributed to the life of St. Paul’s. What if the Incarnation, the miracle by which the immortal Son of God took on mortal human flesh to become one of us, turned out to be even more miraculous and more powerful than most Christians tend to believe? And what if we could actually experience the wonder and the power of that miracle in our lives today? 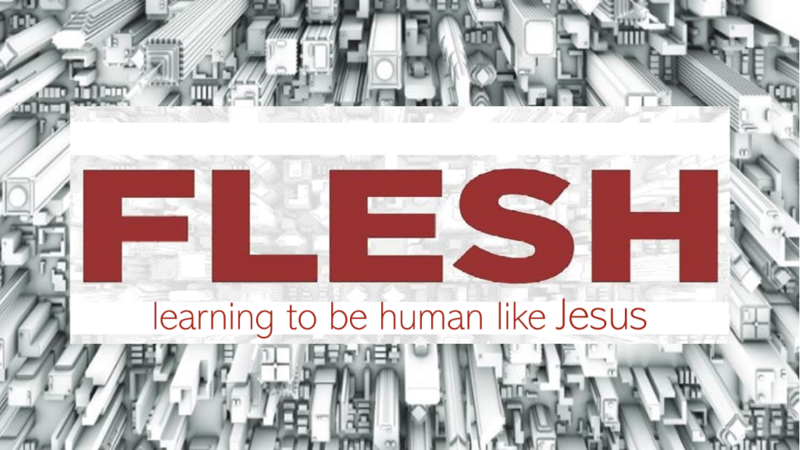 Guided by pastor, church planter, and ministry leader Hugh Halter through his book ‘Flesh’ we are going to spend the month of November exploring the incredible difference that God becoming flesh in Jesus Christ is meant to make in our lives today. 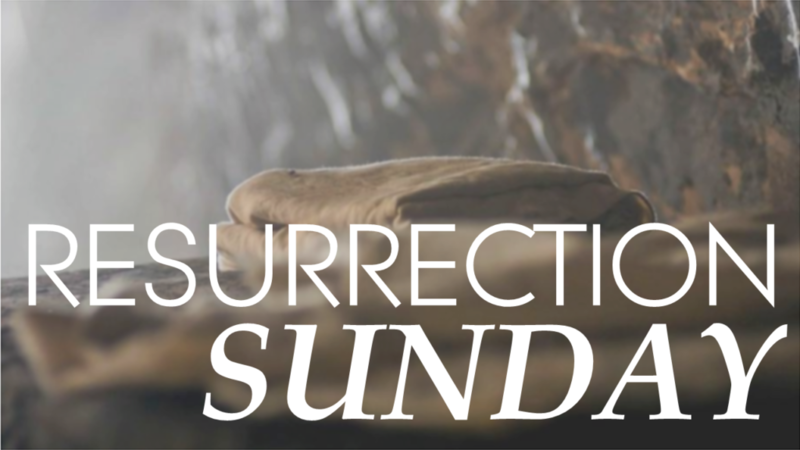 Hugh Halter’s main observation is that while Jesus’ death and resurrection together form the single most important thing that God has done for us in Jesus, they are NOT the only things that God has done for us in Jesus. 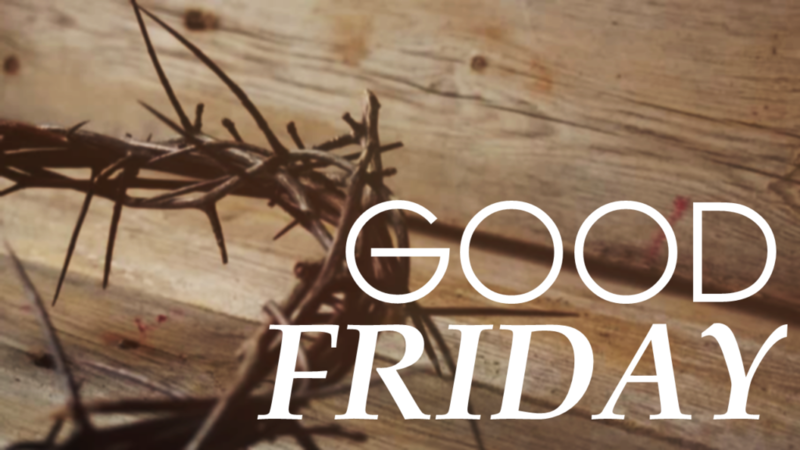 In the thirty or so years before Jesus’ death God also showed us, in Jesus, what it looks like to truly live a fully human life, the very same type of life that the gospel tells us Jesus died to give us. 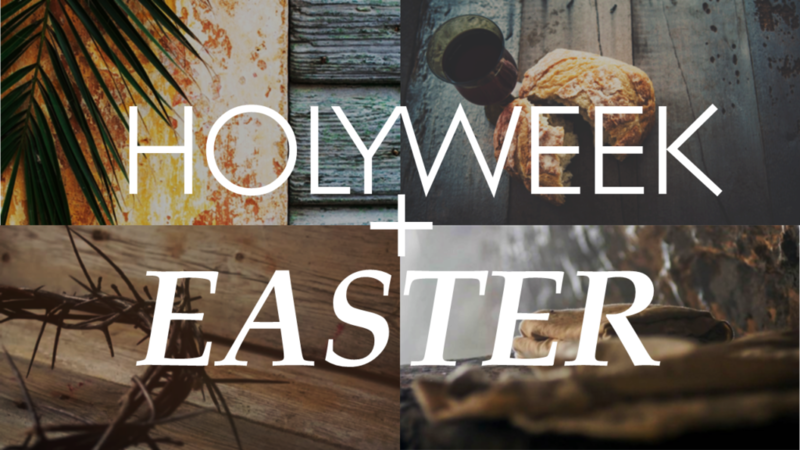 Plenty of people have come to believe in the life-giving power of Christ’s death and resurrection, but too few have chosen to learn from Jesus how to actually live the life he died to give us. Over the month of November, however, that’s exactly what we’re going to do. We are going to take the first few steps towards a life-long journey of learning to be human like Jesus. We strongly encourage everyone who will be tracking with us through this series to find a copy of Hugh Halter’s book ‘Flesh’ and to read it for themselves. And if you’re having a hard time getting a copy, let us know. I’m sure we can find one for you somewhere. cars decorated for Halloween, and so much fun! contact Alice Kennedy at 832-2627. 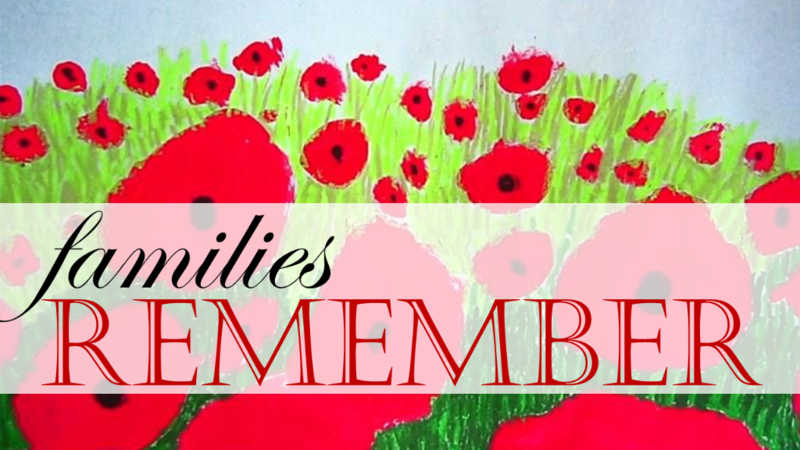 This is a child-friendly event for all ages exploring remembrance, peace, and faith through crafts, songs, stories and more. This event also includes a FREE dinner! 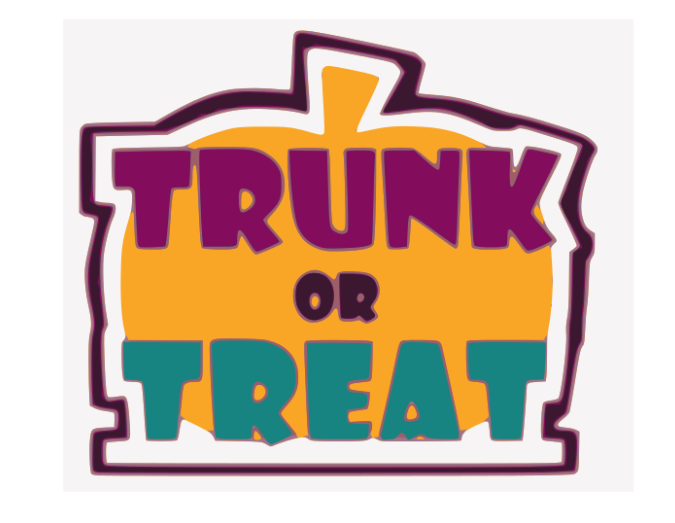 Planning meeting is scheduled for November 1st at the church at 7pm. Looking for volunteers to help with project stations. Sharon will have the Project Stations ready to go.